Do you suffer from a dental abscess? Let us help! At Walbridge, we offer treatments for dental abscesses, including root canals. Enhance the look of your teeth and improve how you feel about yourself! 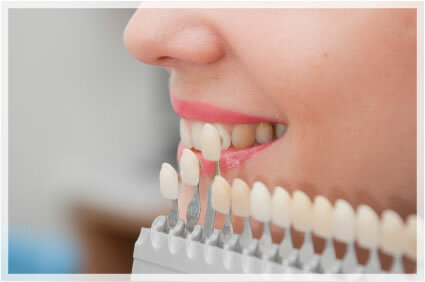 At Walbridge, we offer teeth whitening and cosmetic veneers. Our goal is to help you maintain optimal oral health. Read about the treatments that keep your teeth and gums as healthy as possible. Teeth that show wear and tear may benefit from the support of a dental crown. Dental crowns also help in other procedures. Find out more! If you've lost several, or all, of your teeth, you may want to consider implants or dentures. Read more here to discover your options. If there is a water restriction in our area due to the algae blooms, Walbridge Dental will be unaffected. We use well water that is filtered and purified by reverse osmosis filtration. In-office whitening treatments brighten your smile! Serving Northwest Ohio Families for over 50 years! At Walbridge Dental, we treat our patients like family. We are proud to be your choice for family and preventative dental care in Northwest Ohio. We offer comprehensive, long-term care to our patients, from general dentistry and restorative procedures to cosmetic dentistry. Drs. Matt and Jody Freytag own and operate our quaint, suburban office, with the help of an amazing, friendly staff. Family: Our office is welcoming for all patients, and especially for families. We are happy to provide complete family dental care. We are known for our family-oriented office, and we look forward to treating your entire family! Service: You, our patient, are the most important part of Walbridge Dental. We provide personalized, comprehensive service for all our patients. We invite you to meet the Walbridge Dental team. Overall Health: Walbridge Dental is founded on the philosophy that healthy smiles equal healthy bodies. Drs. Matt and Jody strongly believe in a preventative and comprehensive approach in order to maintain ideal oral health. Happy birthday to our summer birthdays: Ashley, Mackenzie, Denise, Amanda and Dr. Matt!!! Walbridge celebrated its 100th year with a Centennial celebration. Walbridge Dental participated in the parade. 1 year anniversary of being in the new building. Jason Matthew Freytag, born 3/20/2013, weighed 7lb, 9oz and was 20 1/2in.